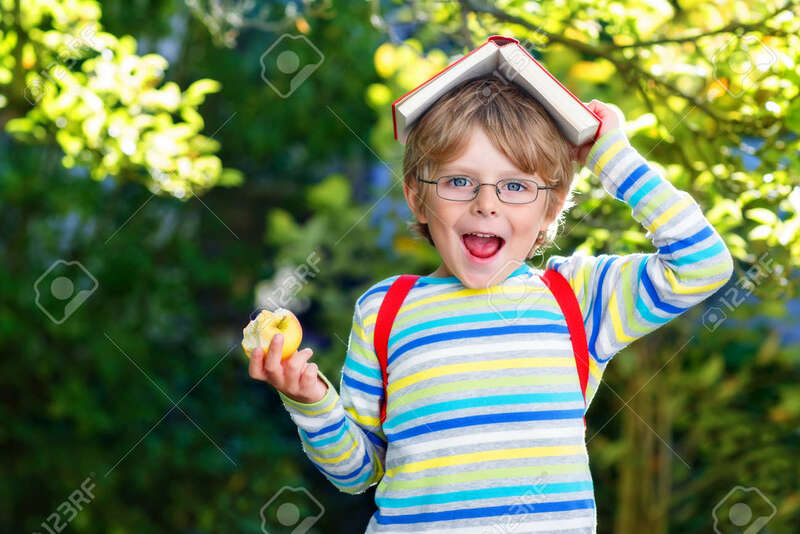 Happy Little Kid Boy With Glasses, Books, Apple And Backpack On His First Day To School Or Nursery. Child Outdoors On Warm Sunny Day, Back To School Concept Royalty Free Fotografie A Reklamní Fotografie. Image 48306091.